Need to scare the living away from your comfy haunt? 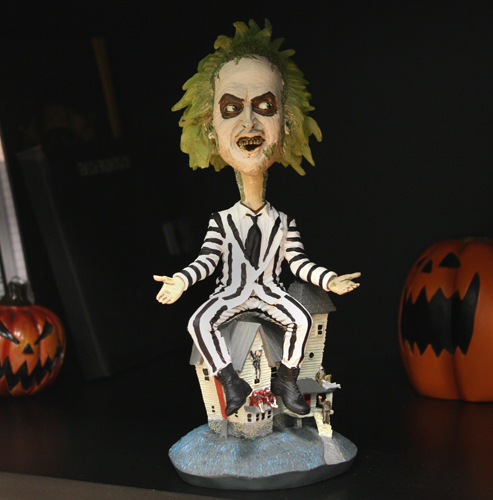 Just keep this Beetlejuice HeadKnocker on your shelf! From Tim Burton’s masterful comedy, the Ghost with the Most is cast in resin and then hand painted for incredible detail. Over 8″ tall with bobbling head — frightful fun for fans of all ages!